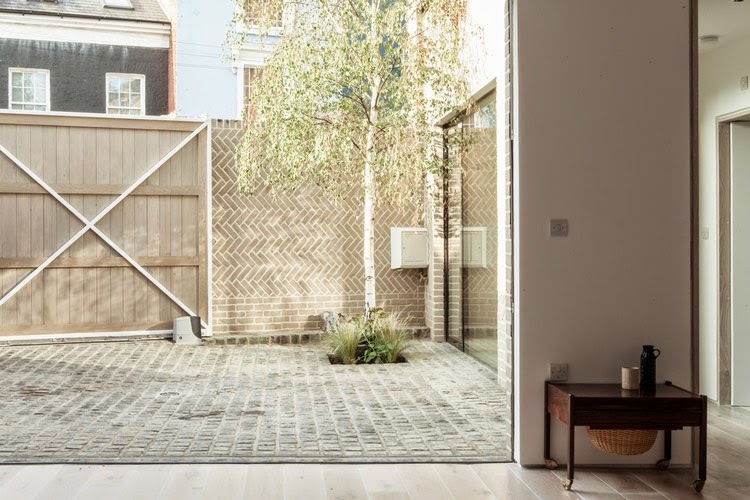 This house in Islington, London, designed by architects Atelier Chanchan, relates to its Victorian terraces surroundings reinterpreting brickwork facades in its own character. 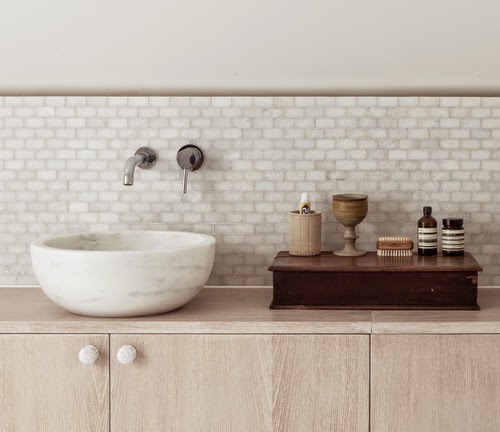 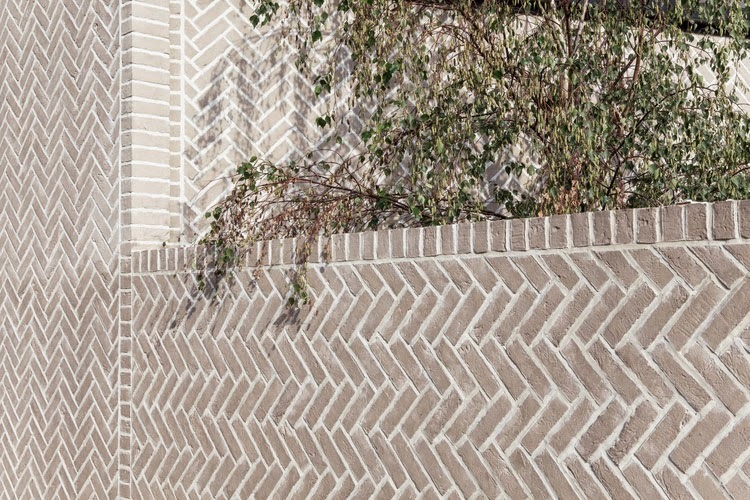 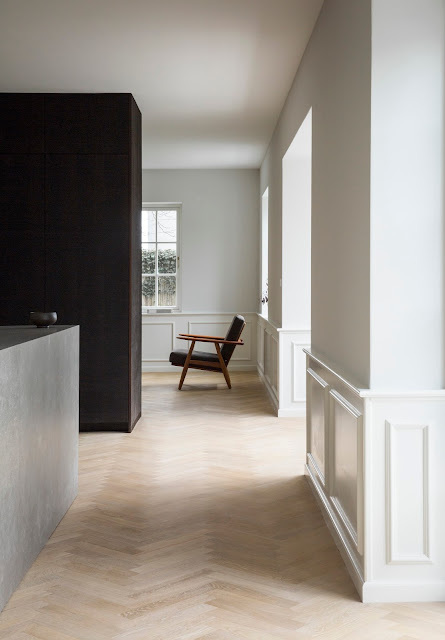 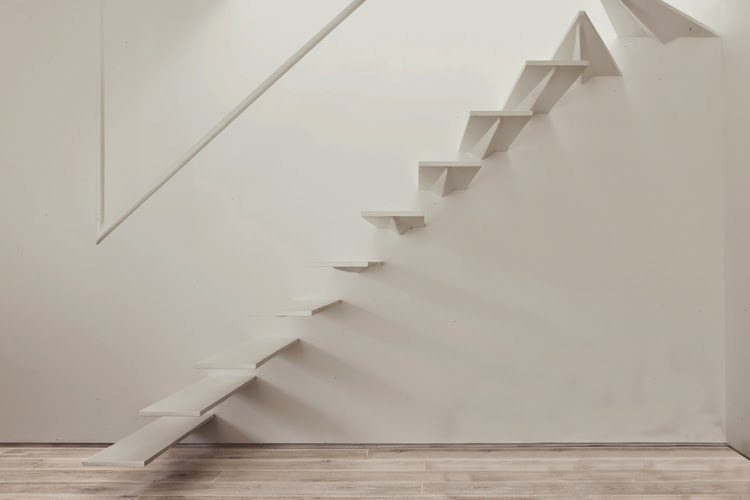 An distinctive, ornamental herringbone brickwork has been used to create a personal expression, while in the interiors, white-washed timber floors and surfaces are combined with Scandinavian furniture. 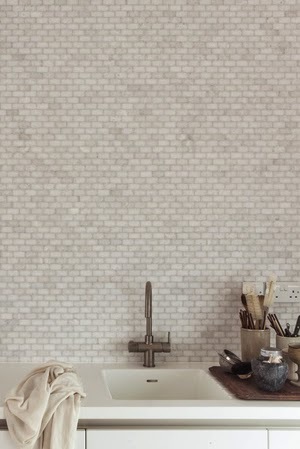 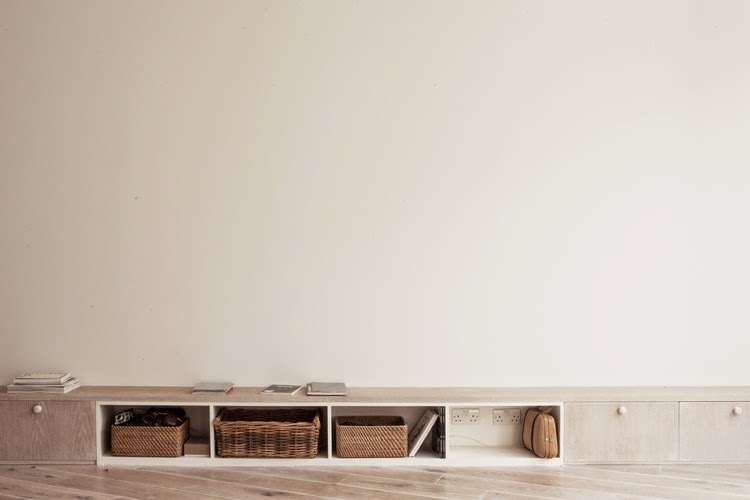 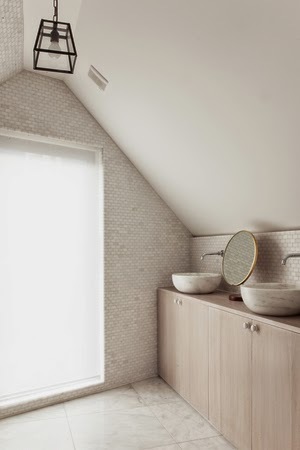 The result is a minimalist, natural but also warm and balanced feeling with soft tones throughout. 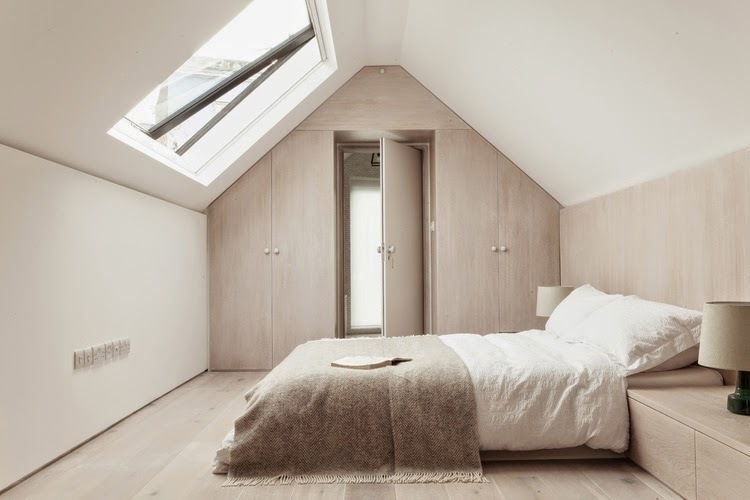 The Herringbone House is on a quaint street on the borders of Islington and Hackney, sitting amongst a cute row of Victorian Terraces, a railway tavern and the small local stone and Gothic church (St Jude and St Pauls). 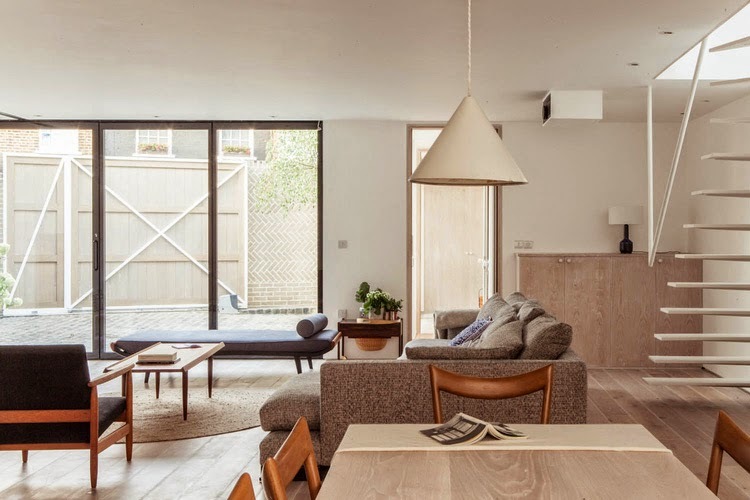 Just away from the hubbub of Kingsland Road, it is neatly packed onto an awkward wedge-shaped site which used to play host to a garage / out-building / storage shed. 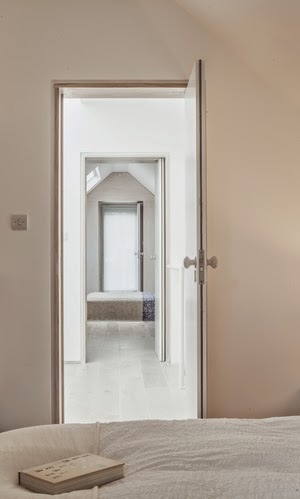 The house comprises of two volumes: a gable-ended volume which is thrust to the very front of the site facing the street, and a set back rectangular volume, which both co-join into one space as the site narrows towards the rear. 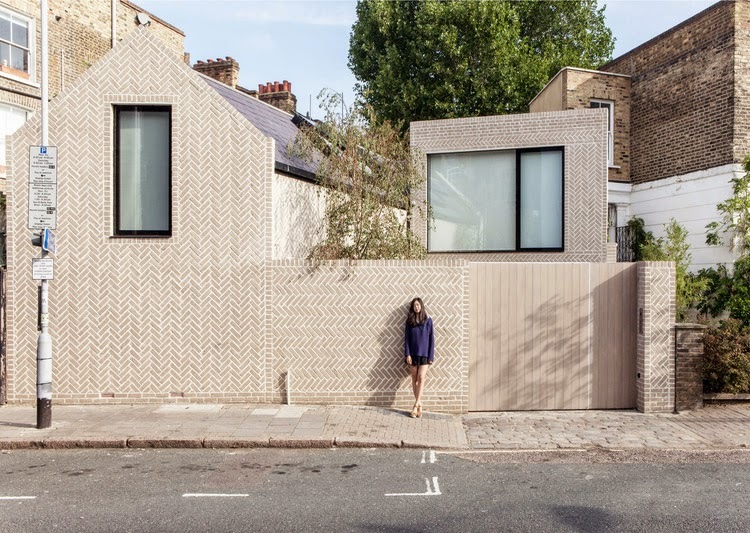 (see image 2) The light shade of herringbone brickwork, articulates the houses’ two volumes and frames the picture windows setting the house apart from the other buildings on the street. 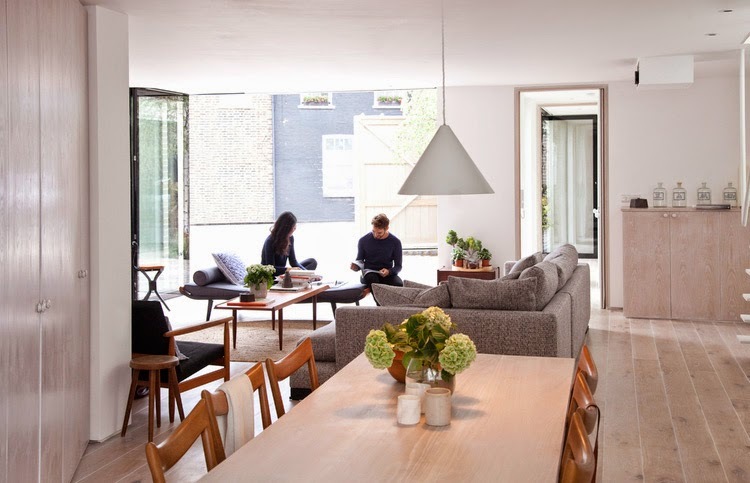 At both ends of the house two walled courtyard spaces bring natural light and air in to the space. 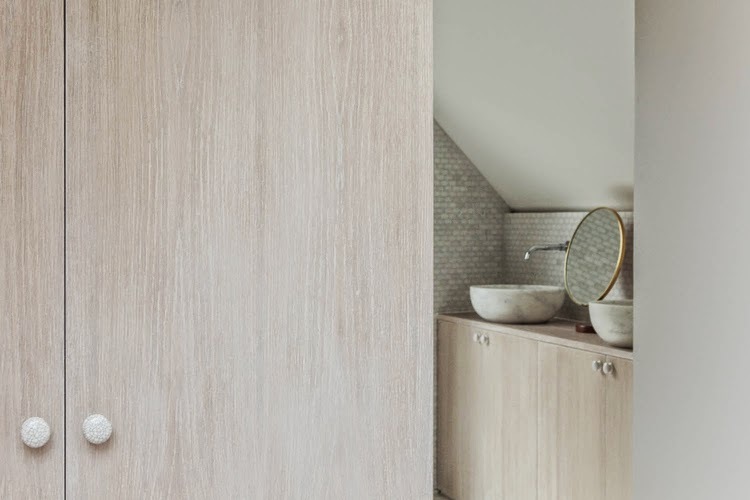 Inside, the large glazed openings flood the building with natural light; enhanced by the light material palette of limed wood, white matt marble and pearl coloured brick and the open layout enables views and light to flood through the length of house. 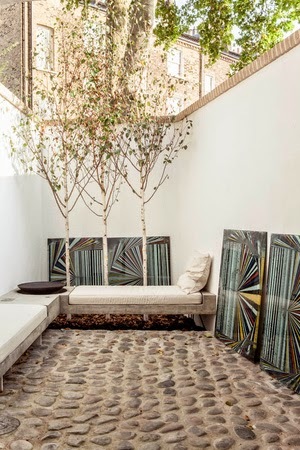 The rooms then peel back, through pivoting floor-to-ceiling windows, onto private, walled courtyard garden ‘rooms’ reflecting the inspiration Zoe has also drawn from inward-looking Chinese courtyard house typologies or ‘Siheyuan’.